Mobilizing people to act for animals. Animals are the victims of the pet overpopulation problem. People can be the solution. It is only by engaging people in the cause of homeless pets that we will build No Kill communities. People adopt. People spay or neuter their pets and prevent them from breeding. People volunteer their time, donate financially and spread awareness in their network. By inspiring and mobilizing people, we are able to create collective impact that brings about change. This is why community engagement is the foundation of what we do at PAWS Chicago. Making people aware of the killing of homeless animals has been our founding mission since day one. In May 1998, we launched PAWS Chicago with the first Angels with Tails adoption event on Michigan Avenue and Oak Street. The event brought awareness to the wonderful pets available for adoption—and the shocking number of pets killed each year in Chicago. Since our founding Angels with Tails event, offsite adoption events in high-traffic destinations have been a key part of community engagement. See our upcoming events. Television, print and radio are the best channels to reach new audiences and spread the message of animal welfare. Our media partners have been instrumental in raising awareness about pet homelessness and promoting adoption. With a circulation of 200,000, this publication is seen by more people than any other local Chicago magazine. Its goal is to raise awareness about our mission, dig deep into important animal topics and encourage conscious action on behalf of animals. Read the latest issue. Facebook, Twitter, Instagram, Tumblr, Pinterest and other social media channels have become some of the best vehicles for promoting the cause of homeless pets. They drive adoption, volunteering, fostering and financial support. They are also great forums to spread awareness about important animal issues and encourage our supporters to share with their networks. Our website is the best expression of our mission to raise awareness about pet homelessness and how people can get involved. Engaging the next generation of animal welfare advocates will help us solve the problem of pet homelessness and keep it that way. Learn more about this important programming. 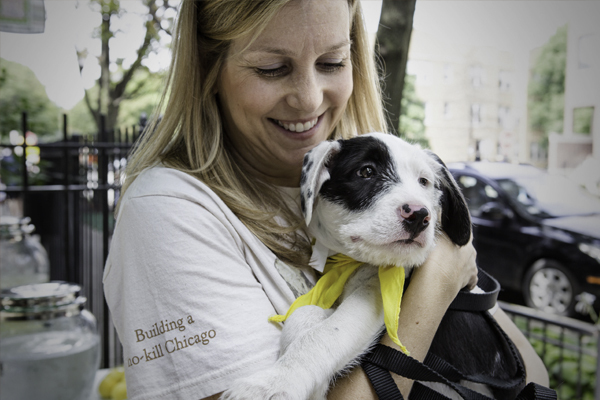 Since our founding in 1997, volunteers have been the lifeblood of PAWS Chicago. In 2018, volunteers donated 143,933 hours to equal the work of 69 full-time staff members. They work in every facet of our organization, from intake and adoption counseling to humane education and community outreach. It is our volunteers—and our foster families—who have enabled our growth over the years. Because of them, we can expand our services to save even more animals. 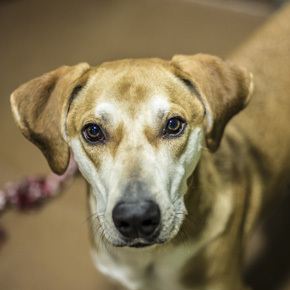 Find out more about becoming a volunteer or foster parent with PAWS Chicago. It is not enough to talk about the plight of homeless animals. It is essential to get the information directly to under-resourced communities that are the source of pet overpopulation. And so, PAWS for Life was born. Through its community outreach component, we go door-to-door, bringing community members information on spay/neuter, vaccinations and general wellness. This helps them keep their pets healthy and helps increase the number of pets who have been spayed or neutered. By spreading the word about animal homelessness, pet overpopulation and the killing that results, we’re spurring people to take action when it comes to animal welfare. That means that now they make the choice to adopt an animal, rather than buy from a breeder. It means they choose to spay/neuter their pet(s). It means they become advocates—spreading the word about the work we do to the people they know as well. Children not only have a natural affinity for helping cats and dogs; they also are our future animal advocates. Children are not only a frequent source of information for their families, but they will be the decision-makers of the future. Arming them with knowledge about what is happening to homeless pets and why—and giving them examples of how they can help—benefits animals of today and tomorrow. Through leadership training, we are helping children, teens and families make informed choices regarding pets in their homes and pets in their communities. Find out more about what No Kill means.